Or "Secrets of the Coming of the Messiah in Parashat Balak." You won't want to miss this!! So, someone emailed me privately and suggested that each group of people has their own messiah who will lead them to God at the End of Days. Several people have pointed out that the term Mashiach can refer to a gentile king as in the case of Koresh, etc. - something of which I am well aware and which I do not deny. 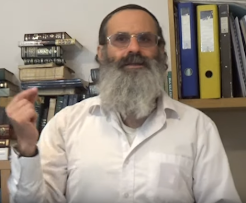 But, the idea that there will be a Mashiach for Eisav and also one for Yishmael or that the word can apply to any world leader of the day because they are "messianic figures" is not only NOT backed up by Torah sources, it is downright dangerous. Blessed are You, Hashem, our God and the God of our forefathers, God of Abraham, God of Isaac, and God of Jacob; the great, mighty, and awesome God, the supreme God, Who bestows beneficial kindnesses and creates everything, Who recalls the kindnesses of the Patriarchs and brings a Redeemer [Goel] to their children's children, for His Name's sake, with love. 'A redeemer [Goel] shall come to Zion and to those of Jacob who repent from willful sin,' the words of Hashem. From now on, bl"n, I will try to substitute Redeemer or Goel [the One] in place of Mashiach [the 'apparently' Many]. Some of my readers may find this extreme, but allow me to paint a scenario for you which may explain more adequately what I see as the problem with multiple Mashiachs at the End of Days. What better way for the globalists to bring about their New World Order than to bring each group their expected Christ (Yeshu) , Messiah (Moses), Mahdi (Mohammed), etc. and have each one instruct his own group to make peace with the others. Each will be allowed to keep his own religion as long as it accepts "the other" and abandons "extremism" and all will unite together in Jerusalem, on the Temple Mount, at "The House of Prayer for All Nations." An explanation for why there is no resulting Gog uMagog War has already been offered. The evil decree was cancelled. We merited to bring redemption early. Much groundwork has already been laid to facilitate this plan. It is unfortunately very far from being unimaginable. I'm not accusing anyone in particular of consciously or intentionally attempting to plant seeds of doubt in impressionable minds which might cause them to stumble and err should such a scenario ever materialize - God forbid! - but, it could happen subconsciously and unintentionally and the harm would be the same regardless. Our Prophet also told us that Jesus will be sent back to earth and related that in that time, which is called "the end of time", there may be a period in which the earth will attain unprecedented peace, justice and welfare. Some... many... Jews might now buy into the idea that Mohammed is Mashiach Ben Yishmael and Yeshu is Mashiach Ben Eisav because our own prophet references "two anointed ones" and they already misrepresent the Rambam's ideas about the 'value' of Islam and Christianity and how it has paved the way for the world to look for a Messiah. Recently, Jews have become very chummy with Christians and as a result, they have begun quoting their Christian 'friends' version of "prophecies being fulfilled before our very eyes." There is active 'reaching out' to Muslims going on in some Jewish circles as well. 'Rabbi' Yehuda Glick, for one, is actively engaging all sides and is a key advocate for The House of Prayer for All Nations where all religions are represented. Don't think it can't happen!! We don't know how far Hashem will let this proceed as a test of loyalty to Him before he cuts the evil off. We are all vulnerable unless we cling to HKB"H with all our might and remain steadfast and true to our Torah and Mesorah. 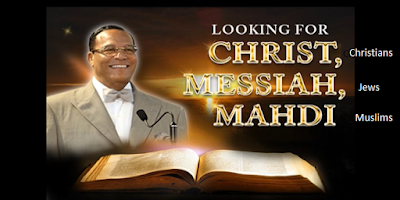 Both Christians and Muslims expect Yeshu to come back to earth from the sky. How hard would it be to simulate this earth-shattering event with current 3D Holographic Technology and how would Jews react to it if the majority of the billions of the world's population believed it? They already believe fake news! Like Moshe Rabeinu and Aharon HaCohen - Mashiach Ben David and Mashiach Ben Yosef will work in partnership to redeem Am Yisrael, but Mashiach Ben David is the One who will be crowned and known as Goel Yisrael. Although, the righteous of the nations, along with all of creation, will certainly benefit from it, the Redeemer comes to fulfill the promise to redeem Yisrael. And again, just like Moshe Rabeinu, there is only One. You've been warned, so this concludes my remarks on this subject, except for comments below. We are in the midst of a tremendous birur. HKB"H is testing all of us, each at our own level, so it stands to reason that whatever test we are assigned will be a proper challenge. Now, more than ever before, it is absolutely critical that we be very, very careful not to deviate even one centimeter from our mesorah, either to the left or to the right. When a "respected rabbi" or anyone else comes with a chidush that Eisav is the "Fourth Avot," even though our mesorah for over three thousand years says there are only three. Or that Eisav and Yishmael, as descendants of Avraham Avinu, were also "Jews." Or that US President Donald Trump is the presumptive Mashiach ben Eisav while Saudi Prince Mohammed bin Salman is possibly Mashiach ben Yishmael. Or that any opposition to Trump is "Satanic." Understand that this is a part of your loyalty test. That's what the final birur is all about - your loyalty to HKB"H and to the tradition handed down to us from Har Sinai. And only those who remain absolutely loyal to both will merit to greet Mashiach Tzidkeinu. An entire generation is being mislead these days by rabbis who are "too big to fail" and too big to call out. Interestingly and very tellingly, their errors all come down to one thing - mixing Jews and gentiles, blurring the lines between them and us, eliminating the division between Jews and gentiles, whether virtually or actually. Furthermore, by bringing out this idea of multiple messiahs or even "messianic figures," whether intentionally or not, it does nothing more or less than prepare the ground for the acceptance of a false Mashiach and/or the rejection of Mashiach Tzidkeinu as an anti-Mashiach, Hashem yerachem! It has been pointed out that rabbis are under a heavier attack from the Other Side because by misleading one rabbi, all of his followers will also be mislead. We learned from this week's parashah that even Moshe Rabeinu erred! In this time of sifting, it's not only we who are being sifted, but we must also be sifting everything we consume, separating the news from the fake news and the Torah from the fake Torah. Be as careful about the kashrut of your spiritual food as you are of your physical food. Don't swallow everything labeled "Torah" whole. Chew on it awhile and see if it tastes familiar. If it's "off" in any way, spit it out. It might be ok, but then again, it might be poison for your soul. During these days, we can't be too careful! What a catastrophe this "redemption" has become. It seems like death is waiting around every corner and where is the promised "land flowing with milk and honey?" We brought it all on ourselves. And nothing much has changed. I believe that from the Seventeenth of Tamuz the world will rock and change in a most drastic way. I can’t be a hundred percent sure of the date. 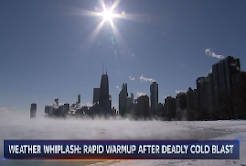 However it is coming one way or another and it definitely will be enough to shake up most of the population of the world into a new and very frightening reality that they cannot deny anymore. Shiva Asar b'Tamuz is next Shabbat! 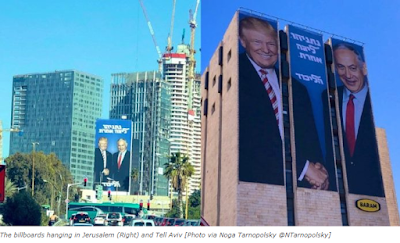 The current US and Israeli administrations like to say they are so close that there is "no daylight [visible] between them," but that's not exactly true, as the following two examples demonstrate. US Ambassador David Friedman reportedly told Israeli lawmakers they were “ungrateful” for demanding that Washington follow up on its recognition of Jerusalem as the capital of Israel with an official US acknowledgement of Israeli sovereignty over the Golan Heights. ...The report quoted him as saying that Israelis do not understand that the US has global interests unrelated to the Jewish state, while Israeli politicians have only a domestic agenda. Someone recently said to me that once N. Korea and Iran have agreed to give up their nuclear ambitions, Israel will then be on the hot seat. ...What was the strategic thinking behind the U.S. Embassy move to Jerusalem? There are two different interpretations. The common one is that this is Donald Trump fulfilling his campaign promise. It fits in with a positive understanding of Israel’s value, building the U.S.-Israel relationship. I disagree. I see it in the context of a larger effort, little to do with campaign promises and a lot to do with hostility towards Iran. If you wish to build up an anti-Iran alliance, then you need to take several steps. The first is to lavish attention and arms on the Saudis, so that you bring them over as an ally in a way they have never been before. Step two is solidify and warm up relations with Jerusalem – such as moving the embassy. Step three is warm up and solidify relations with the Palestinians. That hasn’t happened – quite the reverse. The Palestinian Authority (PA) has engaged for half a year of a boycott of American officialdom. I see this as transitory. At a certain point, either Mahmoud Abbas or his successor will say, “OK, Trump, you’ve talked to us about some benefit we’re going to get. What is it?” And we know pretty well what it is. The U.S. government will recognize Palestine with Jerusalem as its capital and, in return, the Palestinians are supposed to give up the right of return. So, in Trump’s thinking, you take care of the Palestinian-Israeli conflict by giving each side what it wants, and then the Saudis will accept Israel as a full-fledged partner and you have a real alliance against Iran. The problem with this is that the Palestinians are not going to fulfill their role, and will not change their hostility towards Israel. This will once again leave the U.S. government annoyed with Israel for not resolving things with the Palestinians. I see Israel being in the hot seat, once again, as the Palestinians misbehave. Although I was thrilled at the time the embassy move was declared, I think I will eventually wish that the U.S. embassy were still in Tel Aviv. I, for one, was not thrilled. I didn't want it to move in the first place. I knew it was going to come with a cost - a cost possibly too dear to bear, especially for so little return. Beware the Dealmaker. He believes everyone has his price and therefore, everything (and everyone) can be bought - for the right price. Someone should give him fair warning - Torah Jews and Eretz Yisrael are not for sale AT ANY PRICE!! 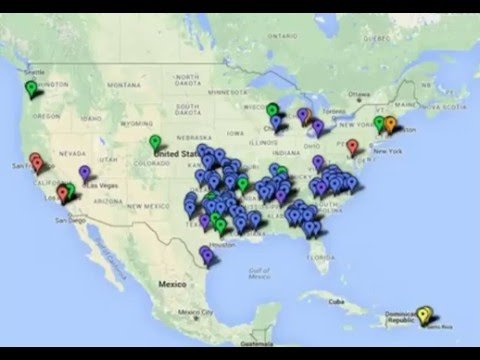 Remember back during the Jade Helm exercises in the US in 2015, there was a lot of 'conspiracy' talk about Walmarts being closed and readied to become detention centers? Well, it was true. It begs the question... What about the rest of them??? A VERY, VERY IMPORTANT AND TREMENDOUS FIRST-PERSON ACCOUNT. Since I posted yesterday on the out-of-season rain we are receiving here in Eretz Yisrael, some new details have come out. 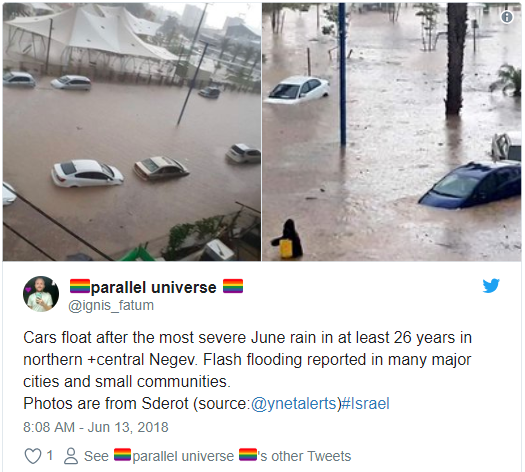 ...Israel was hit with heavy rains this week, causing power outages and severe flooding throughout the country, a highly unusual occurrence for mid-June. ...Sderot resident Danny Hazan told the Ynet news site that the overnight deluge overwhelmed the city’s water infrastructure, having taken local residents by surprise. Heavy rainfall Tuesday night through Wednesday was also reported along the coast and in northern Israel. The inclement weather caused power outages for several Galilee towns overnight. The rains are expected to continue through Thursday, and authorities are warning of flash floods in southern Israel’s dry desert valleys. Though Israel’s rainy season typically ends in March, this year has already experienced several unseasonable heavy rainstorms later in the year. And we are still having rain today. It has even showered off an on a few times at my home in the Judean Desert. "...If you will fear Hashem, and worship Him, and hearken to His voice, and you will not rebel against the word of Hashem, but you and the king who reigns over you will follow after Hashem, your God . . . But, if you will not hearken to the voice of Hashem, and you will rebel against the word of Hashem, then Hashem's hand will be against you and against your fathers. What was significant about the rain that Shmuel HaNavi called down is that it was out-of-season. Wheat is harvested after the rainy season has ended in Eretz Yisrael. And it was clearly meant to send the message that Hashem was greatly displeased with us and that we had what to do teshuvah for. Notice the critical "and the king who reigns over you." It is not enough that we as individuals obey Hashem. Once we set a king over us, we are now judged along with him. I would go so far as to say that the final pasuk there might just as well end for us in the words, "...to request for yourselves a Prime Minister," i.e. setting up a so-called Jewish State in Eretz Yisrael not in accordance with Hashem's Torah. The "kings" that we have set over us up to now have all been in rebellion against the King of kings - HKB"H.
* The Erev Rav Gov't will deceive the nation and secretly weave dangerous deals. * They will hand over holy places, including Yerushalayim, and this will cause a 'storm' in Am Israel. * North of Israel will burn up from missiles from the Iranian Hizbulla, with the support of Syria. I have no access to the original words. What if it said instead that it would cause a "storm in Israel" and this is the storm it was referring to? Is the back and forth with the American administration part of this "weaving dangerous deals?" Is war in the north coming next? They say we can't possibly understand the meaning behind events today because we have no prophets. But, this is precisely why the prophecies of our earlier prophets were recorded for all time. So that we would have them now, when we need them most! "He who is compassionate to the cruel will ultimately become cruel to the compassionate." The Jewish People are a nation of kindness and mercy. The kind deeds they perform for their fellow man stem from a psychological drive, implanted in them by G-d, to show compassion. Yet, this compassion becomes an inexhaustible fountain only through one's concerted effort to understand these G-d-given traits and direct himself in their application. ...Our sages said, "G-d gave Israel three fine gifts," because G-d instilled these traits in the Jewish People when they stood at Mount Sinai. The same point arises in the principle that "if someone lacks shyness, it is clear that his ancestors did not stand at Mount Sinai. This indicates that when Israel stood at Mount Sinai and G-d revealed Himself and chose them as His special nation - holy, elect, supreme - He implanted in them, but not in the nations, a special soul with mercy, shyness and kindness. If a non-Jew seeks to convert, his soul is transformed into a Jewish soul with these traits, and then it is as though even he is among those whose ancestors stood at Sinai. Israel were chosen by G-d as His nation and inheritance; He filled their soul with noble mercy. Yet, if they do not make use of such Divine traits, over time an apathetic shell develops which defeats their delicacy and sensitivity. To our great chagrin, we see a growing portion of our people who have cast off G-d's yoke, resulting in their special Divine traits being dulled. Where they were once the merciful children of merciful parents, they have instead been filled with base cruelty and evil. There is no more disgraceful or wicked trait than cruelty at the wrong time and place. ...there is no better path for a person to cling to than a good heart and no worse path than an evil heart, because everything depends on the heart, the seat of lust and pride, man's emotions and desires. It says, "Everyone proud in heart is an abomination to the L-rd" (Prov. 16:5); and, "Before destruction man's heart is haughty" (Prov. 18:12) G-d is not looking for the wise or mighty. How can these be boastful next to the wisdom and might of Him Whose word created might and wisdom? ...A person should not boast of his wisdom, might or wealth, for these are fleeting and inconsequential. They are the source of pride, lust and selfishness - the absolute opposite of the world's reason for existence. Rather, one should take pride in being good-hearted, modest and humble, for that is man's whole purpose. ...Indeed, G-d is kind and merciful, and His mercies are over all His works. Man is duty-bound to emulate Him, and Israel, His nation, are commanded to wear the mantle of mercy and show mercy to all His works. ...Yet, it must always be in the right time and place in accordance with the dictates of Halachah, Jewish law, and the Divine conception of mercy. Let us never forget the mitzvah of not showing mercy where forbidden to do so. ...the definition of "mercy" and "love of Israel" are what G-d defines them to be, and not the mercy of fools enslaved to alien culture. 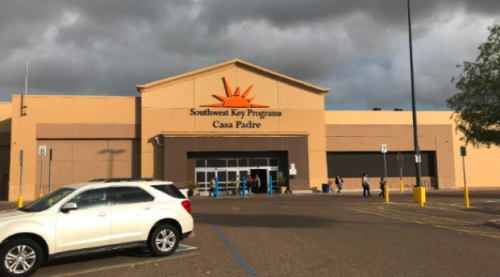 Misplaced Mercy and Compassion: It is actually forbidden to open the door wide to everyone who knocks and certainly for those forcing their way into your home. In 2003, I attended a lecture that I wrote up afterwards and eventually posted to my blog ten years later in 2013. 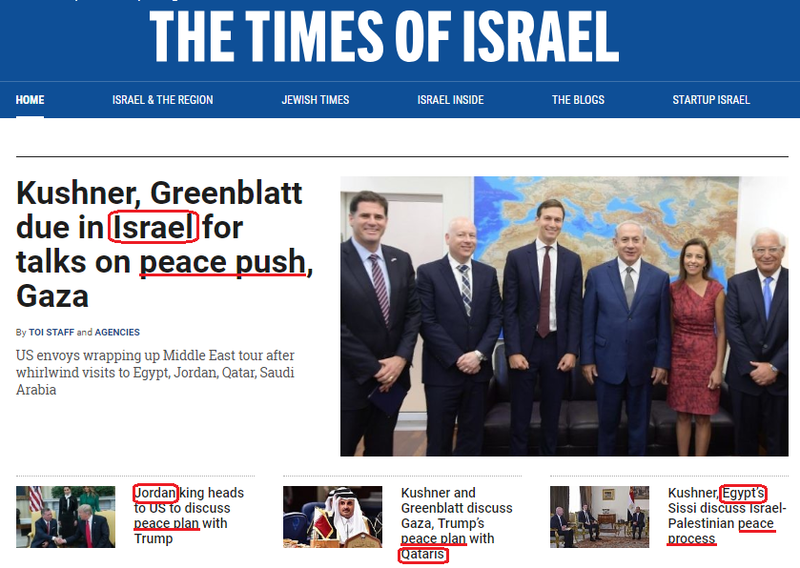 The title is not much different from the one above: "What the United States Intends for Israel." No matter how it's worded, the question is still worth asking. During that lecture, it was revealed that "over the next two years, America is going to 'take out all seven dictatorial regimes in the Middle East.'" ...The conquest was begun with Iraq and is to be followed by Iran, the groundwork for which is already being laid and which, according to Mr. Loftus, will be finished "by Spring", only to be followed in swift succession by Libya, N. Korea (which will be divied up to China), Syria and Lebanon. Since Jordan and Egypt are already on America's payroll, that only leaves Saudi Arabia which will have no other option, according to Mr. Loftus, but to fall into line. The plan is ostensibly to "liberate" all the democracy-starved hordes of the Middle-East and rebuild all the war-torn countries courtesy of the American taxpayer (to whom Israel is also beholden, reminds Mr. Loftus, lest we Jews ever forget), and create a climate in which "moderate Islam" can flourish. Clearly the timetable is a bit skewed, but apparently, the plan still exists in some form. The whole world is glued to the media to see what will be with regard to North Korea as Kim and Trump meet in Singapore. I can't help thinking that if it all goes to hell, and how can it not when you're talking about two egomaniacs, it will bode very ill for Israel. Because we are coming to "the end of Ramadan," the time that the US previously announced would herald the revelation of Trump's "deal of the century" peace plan. Just because it's gone into stealth mode, don't think for a moment that they have forgotten us. US ambassador to Israel David Friedman has been called for urgent discussions on the Middle East peace plan at the White House and will therefore be absent from a conference of the American Jewish Committee in Jerusalem, Israel Hayom reported Sunday night. Four days ago, I was a bit stunned by this announcement via the Debka website: US to Boost It's Military Presence in Israel. As you already know from reading my blog, at last count, the US had eight military bases here in Israel. Now, another base has been established since the last count, so the current total is at least NINE. Years in the making, Site 883 expands on long-standing and active ballistic missile defense cooperation. If you imagine them prepared to become an occupying force like the Romans or the Greeks, or even the British, like I do, you begin to understand my concern. This is the Shabbat when we announce the new month that begins next Tuesday night through Thursday - Tamuz. Only a bit more than two weeks into that month, we begin the period of The Three Weeks, culminating in Tisha b'Av - a date which is immortalized in this week's parashah. Yechezkel HaNavi prophesied that we would repeat this error in the time before Mashiach comes. And before anyone says, "Bad prophecies don't have to happen," let me remind you that every horrible prophecy given about our future has come to pass until now - because we don't ever seem to learn our lessons. Why should we expect that to change at the last moment - especially when we are at rock bottom spiritually? ...I will take you out from the nations and gather you from the lands to which you were scattered, with a strong hand and with an outstretched arm and with outpoured wrath; and I will bring you to the wilderness of the nations* and I will contend with you there, face to face. Just as I contended with your forefathers in the Wilderness of the land of Egypt, so will I contend with you - the word of the Lord Hashem/Elokim. *The commentary says regarding wilderness of the nations: "You will be punished in a deserted area, so that your enemies do not witness your downfall." This is reminiscent of the reason our sages tell us that the four-fifths who didn't make it out of Egypt died during the plague of darkness. Where is this "wilderness" today? According to a famous story concerning Rav Aharon Kotler, it is America. Everyone wants to believe that the ultimate redemption will come with mercy. What if it is, but we have failed to recognize it? What if two-thirds were condemned to die and the entirety of the "West" - Europe and America were doomed, but Hashem separated it into two parts with 70 years as a grace period in between? Clearly, the warning went out to European Jewry and they failed to make the appropriate response. Here we are still in the shadow of that horrendous event with warning sirens blaring all around us and still - still - literally millions of Jews are still failing to make the appropriate response. Like the original "scouts," who perished in the wilderness, but it did not have to be! It does not have to be!! "Which one will Mashiach wear?" Christians wanted to "atone" for handing over Jews to the Nazis so they built a missionary base in the heart of the Jewish nation. ...despite their small Jewish population, Finland turned over eight Jewish refugees from Austria to the Nazis in 1942 during a collaboration with Germany. When news broke out about this exchange, the Finnish people felt the need to atone these sins, and they did so right in Israel. ...“The first purpose of Yad HaShmona is to atone for the sins of the Finnish people against the Jewish nation,” said Ayelet Ronen, general secretary of Yad HaShmona. ...Today, the kibbutz became a home for families who believe in Jesus. Its residents are a mixture of Christian Finns and Messianic Jews who continue to preserve the Finnish culture while also upholding the structure of a traditional Israeli kibbutz. ... the process to establish a kibbutz by non-Jewish people was an obstacle because the kibbutz system was dedicated to Jews. A request from Christian Finns to start one of their own in Israel was not a priority for the government. However, ...Golda Meir, then Prime Minister of Israel...approved of the non-Jewish kibbutz although the reasoning behind her approval remains a mystery. ...The kibbutz has also developed into a center of activity for those who believe in the New Testament. The "one new man" - Hashem yerachem!